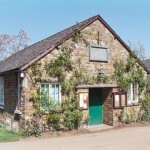 Welcome to the Village Hall page of our village website. Here you will find general information about the hall (history, committee members, facilities and making a booking), plus details of forthcoming fund-raising events and our 100 Club. Preston Capes Village Hall was founded in July 1939 on land given by the Knightleys of Fawsley. The wrought iron lantern over the door of the hall was provided by villagers to commemorate the Coronation of HM Queen Elizabeth II in 1953. In 2003, to celebrate the new Millennium, a specially-commissioned brass sundial was placed on the wall above the front door of the village hall. This was paid for by donations from local organisations, businesses and individuals, plus a grant from Daventry District Council. The kitchen includes an electric oven, microwave, electric urn (currently stored in attic – please mention at the time of booking if required), refrigerator and glass-washer. The purpose-built bar area has a drinks refrigerator, and a skittles table and dartboard are available by prior arrangement. The hall has full disabled access, including a unisex wheelchair-usable toilet. A list of the current keholders can be found on the Village Hall notice board.